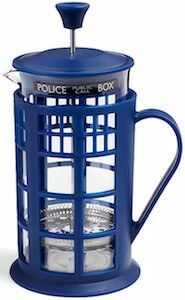 Now Doctor Who fans that like to make some amazing coffee can do that in this Tardis French Press Coffee Maker. If you like to grind your own coffee beans and make some amazing coffee then your just deserve this amazing looking coffee maker. The French press is glass with a metal plunger and then there is a outside that is Tardis blue and even looks a bit like the real Tardis and the blue lid has the Tardis top sign on it so that you can fee a bit more like a blue police box. 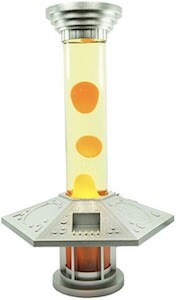 So if you like coffee in Doctor Who style then you are going to love this Doctor Who coffee maker.